UC San Diego University engineers are trying to use nanotechnology to increase the effieciency & increase the performance of fuel cells. This will increase the option of renewable energy. The efficiency of fuel cells are limited. 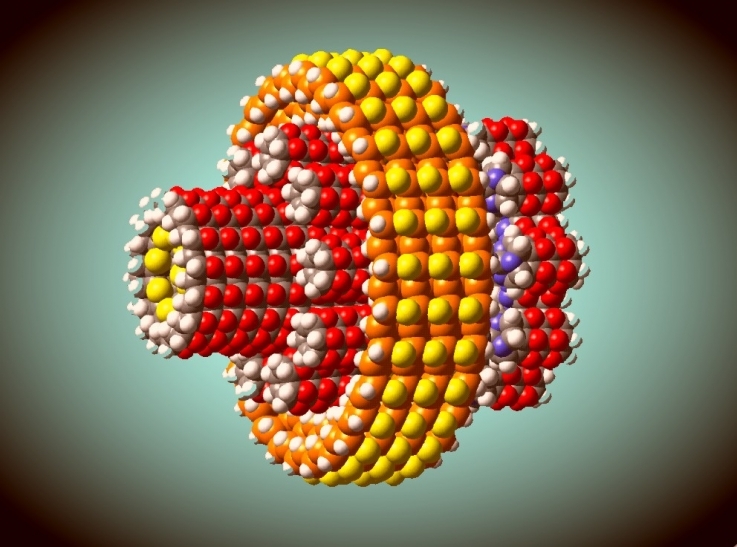 Bimetallic nanoparticles today are synthesized by researchers. This nanoparticles are a promising material for catalysis of fuel cells. Researchers are trying to use these nanoparticles to increase the performance of catalysts of fuel cells. A catalyst is such a substance which enhances the rate of a chemical reaction without being destroyed. This is done by reducing the reaction energy. To make fuel cells a good economic solution, optimization of their catalytic processes must be done. As for example, splitting of water into hydrogen and oxygen for fuel cell feeding is a desirable process, but the improvement of the catalytic activity is required. Researchers have made modifications in the surface charges of silver nanoparticles using charged polyelectrolytes. These act as templates for galvanic displacements. Hollow bimetallic structures are generated by positively charged nanoparticles (NPs) & porous bimetallic structures are generated by negatively charged NPs. Ag/Au NPs are an excellent catalyst for CO oxidation., That’s why they are used as a potential fuel cell application. For low temperature chemical reactions, these bimetallic NPs are a good nanocatalyst. Researchers are one step closer to develop advanced fuel cells. These fuel cells will be used to power residential housings, vehicles and consumer electronics. The cost of fuel cells and the performance of it’s components can be improved with nanotechnology. As compared to bulk materials, nano-size materials have some particular properties. Researchers claim that in the near future they will measure the bimetallic nanoparticle properties. These bimetallic NPs can act as catalysts in different fields. Fuel cells have been recognised as most desirable next generation clean energy source. Fuel cells can be thought as electrochemical devices that converts fuel to electricity. They use an electro-catalytic process to do that. An ideal system in this regard is Direct Methanol Fuel Cell (DMFC). They generate electric power by converting directly methanol at the anode. With exact refuelling time using simple fuel cartridge exchange, the DMFC can be used in a number of applications. High bandwidth mobile devices and battery chargers require high power densities. So, these devices are good examples of quality markets of DMFCs. Exploration of these technologies in military and security applications are also being considered. DMFCs also have disadvantages. They have high cost, methanol crossover and slow kinetics. To get a factual alternative to internal combustion engines, the Department of Energy has estimated that a very small amount of platinum will be used by platinum based catalysts. In case of electronic devices which are portable, the DMFCs can provide ten times the power density of lithium ion rechargeable batteries. When we use nanomaterials, all the atoms over the surface are active and can be used in catalytic chemical reaction. The advantages of using nanostructures are reduced cost of material and reduced fuel cell weight. The ability of manipulation of matter at atomic levels and creation of good quality nanostructures has became the manufacturing approach for materials of next generation.These nanomaterials are a good solution to the current global energy crisis. Well written archie. Can you tell me how silver and gold are used in fuel cells? Please tell me what is the cost of Direct methanol Fuel Cells?